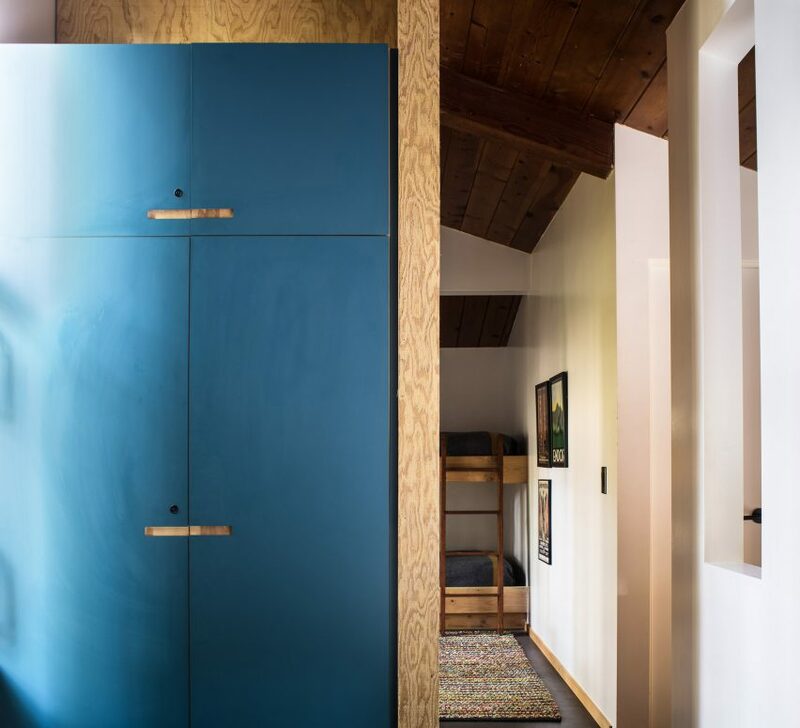 Design collective Framestudio has restored a 1960s cabin originally built by American architect Joseph Esherick as a model for low-cost holiday housing. The Sea Ranch Cabin is one of a series of Demonstration Homes designed by Esherick, who practised in the San Francisco Bay Area. 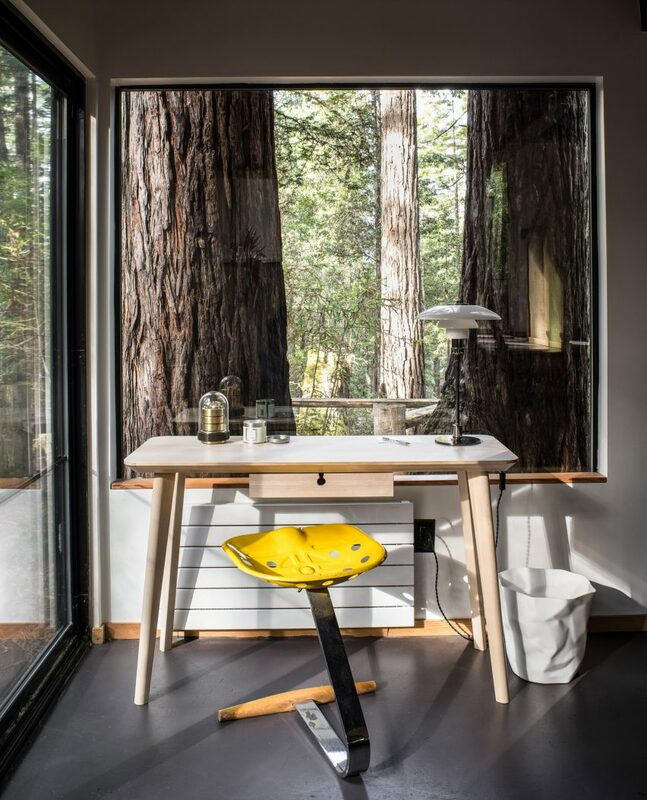 The cabin is surrounded by redwood trees in the planned community known as Sea Ranch, in California’s Sonoma County. The area is a popular vacation destination and characterised by its simple, wooden retreats. 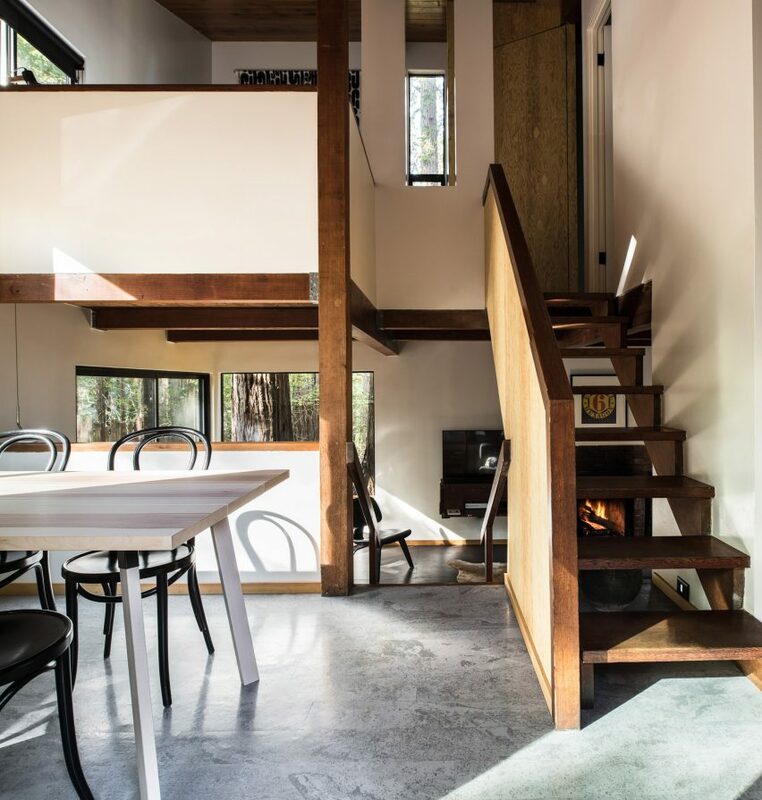 Spanning 684 square feet (63 square metres), The Sea Ranch Cabin has a small footprint split across various levels that create an interconnected space within. The building was updated by local collective Framestudio, which is made up of a team of architects and designers, and also has an office in Oakland. The renovation entailed the addition of more storage and sleeping areas inside, while retaining the character of the wood exterior. Sea Ranch Cabin was originally built by Esherick in 1968, as a prototype for cheap but comfortable weekend retreats in the area. The 10-mile (16-kilometre) stretch of California coastline where the Sea Ranch community is located was designated as a residential development in 1963, when developer Oceanic California Inc enlisted a group of architects including Esherick, Charles Moore, William Turnbull Jr and Donlyn Lyndon to built getaways. 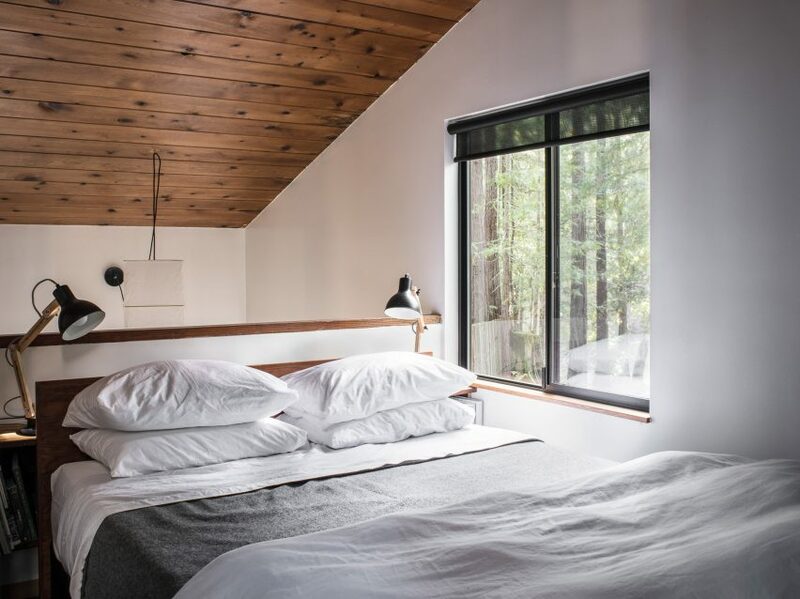 Designed in the modernist tradition, many of the houses drew influences from the local agricultural buildings, and were built using local materials like Douglas fir and redwood. This resulted in a style that became known as “Third Bay Tradition” or simply “Sea Ranch”, but many of the properties were later altered and expanded as the community’s popularity grew. Those that have been updated include Bluff Reach, which was given new finishes and a guest house by Butler Armsden Architects. “Because of their elemental layout and small size, few of these homes remain in their original state,” said Framestudio. 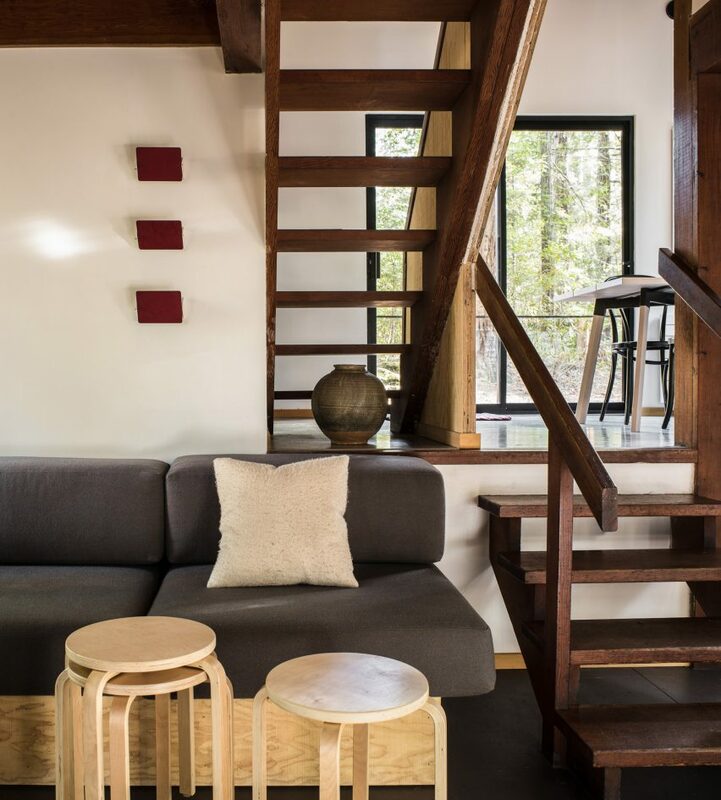 During the renovation, them kept interiors modest to honour Esherick’s original plans, balancing their alterations with the preservation of the exterior. Additions included a full kitchen and room to sleep six, along with new storage areas. Black-laminate cabinets, a dishwasher, and extra drawers in the toe kicks were installed. Cabinetry, a fan-based exhaust system and reclaimed wooden elements from the period were all restored. The cabin houses a pair of bedrooms on the upper level, where the Framestudio constructed a full-height partition to provide privacy between the two. This element can be folded away into a wall, so it blends in with the original rough-sawn Douglas fir panelling. “The open-plan nature of the home was preserved, specifically on the bedroom level, which lacked doors in the original design,” said the firm. 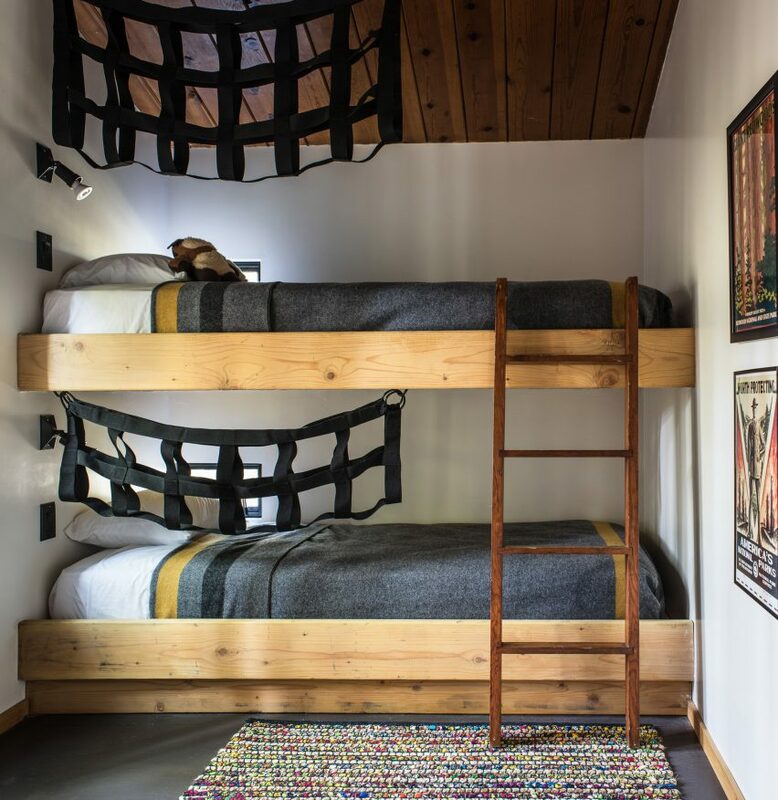 Other space-saving additions include a bunk bed, a built-in sofa in the living room, and a queen-sized pullout bed. Sea Ranch is considered one of the best collections of modernist architecture on America’s West Coast. In keeping with the aesthetic, new homes in the community – like Meadow House by Malcolm Davis Architecture – have to follow similar shapes and use local materials. Photography is by Drew Kelly.